Got crumbly veggie burgers that just fall apart in the pan or on the grill and looking for a solution? 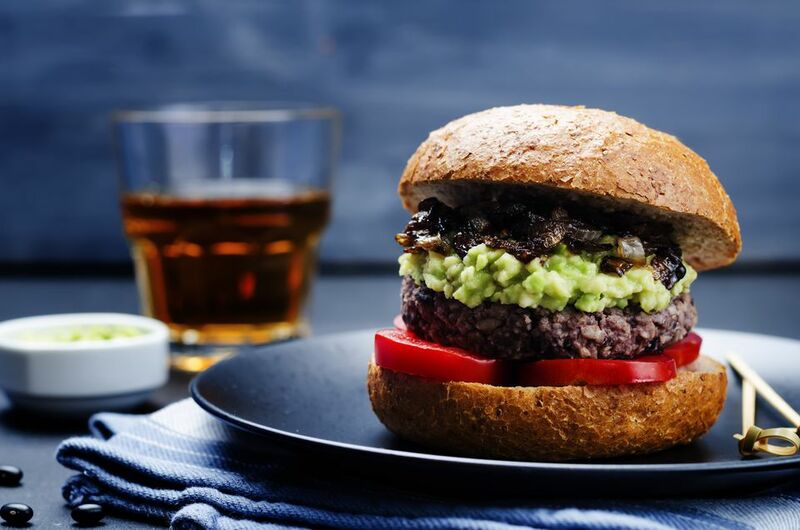 Here are ​some tips to make sure your homemade veggie burgers are absolutely perfect! Veggie burgers need a binder to hold them together. Other than eggs, some common binders are wheat germ, bread crumbs, oats, or ground flaxseeds mixed with water. Eggs are the most common and effective, and egg replacers also work well for vegan veggie burgers. Check to make sure that the recipe you use has a binder included in the ingredients list. You can use just about any kind of bean or legume to make a veggie burger―kidney beans, soy beans, and lentils work well. Black bean burgers are quite popular, but pinto beans or even white beans have a more neutral flavor if you're adding your own spices. Because they are so much lower in fat, veggie burgers don't have the same natural juices and fat that a beef burger has, so you need to oil your grill to prevent veggie burgers from sticking. Clean your grill, scraping off any bits and pieces. Then, take a paper towel dipped in oil and rub it thoroughly across the grates. Alternatively, spray your grill with a non-stick cooking spray. Don't want the hassle of grilling, but like the taste of grilled veggie burgers? Add a dash or two of liquid smoke into the mix, or try using a small indoor kitchen grill. Make sure your ingredients are free of extra water. Drain and dry your beans or other ingredients thoroughly before mashing. You can even pat them gently dry with a kitchen cloth or paper towel. Patties crumbling in the pan? Try baking them instead. Set your oven to 350 F, and bake for about 8 to 10 minutes.